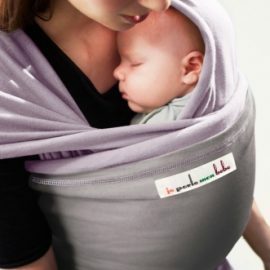 Ring slings are a piece of fabric with two rings sewn in to one end. 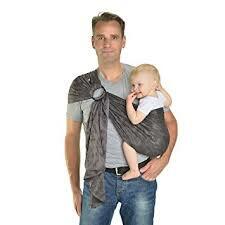 You wear them over one shoulder and use the rings to adjust and tighten the fabric. 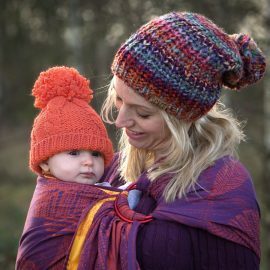 There are different methods of sewing the rings in place to give different shoulder styles, from a simple gather to fancy pleats. 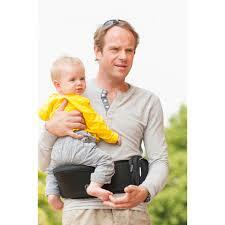 Some people find different shoulder styles more or less comfortable. 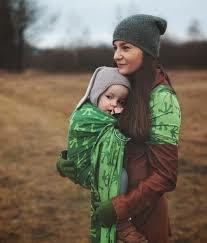 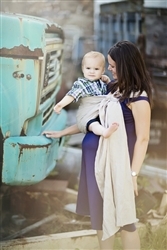 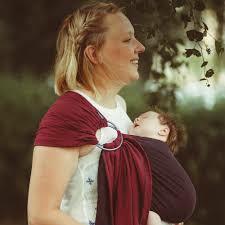 A ring sling can be used for front, hip and back carries and are suitable from birth to toddler. 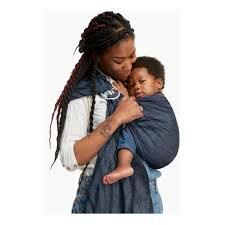 They can be made of simple cotton or expensive linen or silk but in our opinion the best and most supportive ring slings are made from cross woven wrap fabric.